It is with great sadness that we announce the passing of Elva Celestie Feener who died peacefully on April 4, 2019 in South Shore Regional Hospital. 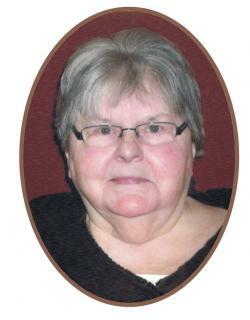 Born January 28, 1938 in Blockhouse, she was 81 years old and lived in Martins River. She was predeceased by her son, Wayne; her parents, Martin and Gertrude (Weagle) Wilneff; brothers, Lester, Murray, Harold, Percy and Robert; infant brother, Albert; sisters, Kay Grace and Eileen Tanner. She is survived by her son, Wade (Lisa); grandchildren, Charmaine, Jade, Kelsy (Lyons), Devan and Aidan (Swinimer); great-grandchildren, Lailynn, Wyatt and Zayne; brother, Gary; sisters, Laura Frank and Lois Veinot; numerous nieces and nephews. In April 2011 she suffered a major stroke but she refused to stop doing the things she loved. Each year she would pick her share of blueberries and strawberries, participate in maintaining her small vegetable garden and play radio bingo as often as possible. We would like to thank the nursing staff of South Shore Regional Hospital for their kindness, compassion and understanding and a special thank you to Dr. Ian McNally and Dr. Edmonds, not only for their kindness and compassionate care of Elva, but also for the consideration they gave to the family. The palliative care nurses, Alicia and Irene, whose jobs are so important and all the paramedics and first responders from Martins River Volunteer Fire Department who have come to Elva’s aid over the years. We are so privileged to have people such as yourselves who work in our hospitals and communities. No visiting. A memorial service will be held 2pm, Tuesday, April 9 in Faith Baptist Chapel, 11279 Hwy. 3, Centre, Pastor Steven Hiltz officiating. In lieu of flowers the family requests memorial donations be made to SHAID Tree Animal Shelter or Faith Baptist Chapel.